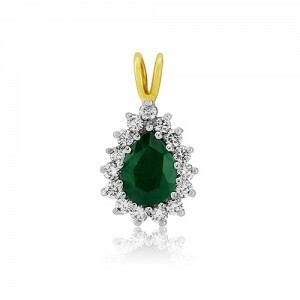 This traditional cluster pendant has an exceptional deep green, pear-shaped emerald as its central feature. 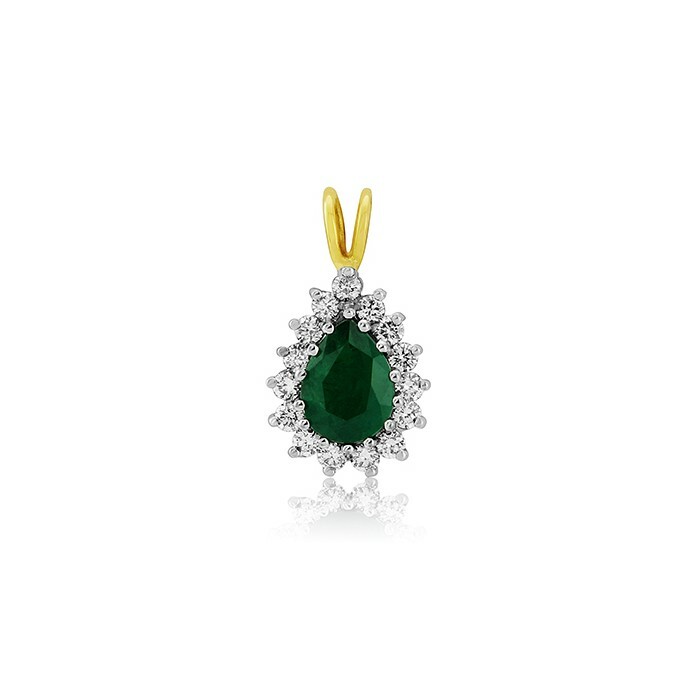 Fifteen round brilliant cut diamonds in white claw settings surround the main stone. This elegant, medium to large sized pendant measures 18mm high, including the yellow gold chain bail, and 10mm wide.